Join Hannah Blumhardt and Liam Prince, the No-Waste Nomads behind The Rubbish Trip for an introduction to the practicalities and philosophy of waste reduction. This event is free - everyone is welcome. 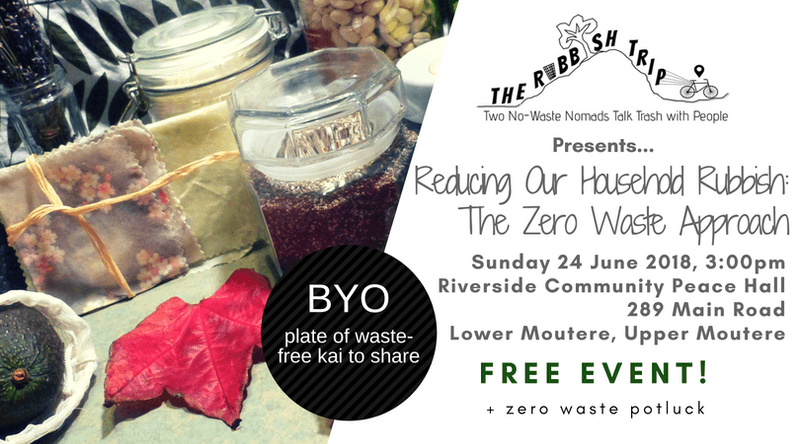 We'll share a rubbish-free potluck at the event, so if you feel up to the challenge, please bring along a plate of food to share that you've made and transported without waste!